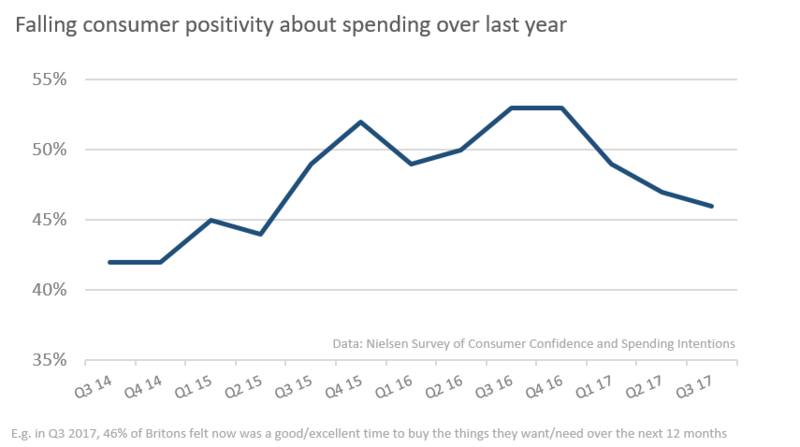 The number of British shoppers feeling positive about making purchases has hit its lowest level since the second quarter of 2015, according to Nielsen’s latest Global Survey of Consumer Confidence and Spending Intentions. Less than half (47%) felt now is a good time to buy things they may want or need over the next year – a figure that has been steadily dropping since just after the Brexit vote, when it stood at 53%. "Although consumer confidence, overall, stayed at the same level as the previous quarter, retailers will be concerned about shoppers falling confidence around spending," said Steve Smith, Nielsen’s UK and Ireland managing director. 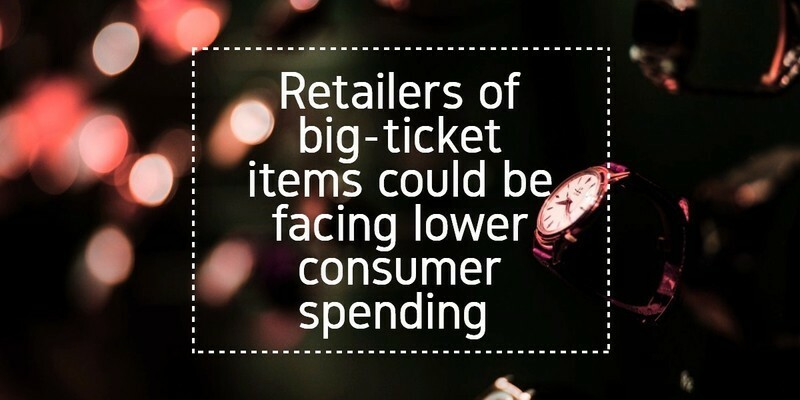 "This manifested itself in the previous quarter which saw household cost-cutting activities at a two-year high - led by buying cheaper grocery brands and cutting down on energy bills - but this latest development means retailers of big-ticket items could be facing lower consumer spending than anticipated before and after Christmas." Consumer Confidence in the UK stayed at 99 in the third quarter of 2017 – although the level has generally been falling from a high of 106 just after the Brexit vote. A score over 100 indicates degrees of optimism, below 100, degrees of pessimism. However, UK confidence still remains higher than the European average (87) but below the global level of 105. India (132) has the highest score globally, South Korea the lowest (52). France stands at 71, Germany at 102 and the US at 121. The marketing and financial update i get from these blogs are very accurate and always the first ones to report.